Foot and Mouth Disease disaster preparation has been neglected, according to leading pork producers, veterinarians and researchers, who caution of the potential for a meat export crisis unless an emergency vaccine bank that protects against all 23 active strains of the virus is funded. Currently, livestock is protected against less than half of all active strains, said Ron Dehaven, executive vice president of the American Veterinary Medical Association. FMD is one of the deadliest viruses to strike hooved animals, affecting cows, pigs, sheep, goats, deer and others. A U.S. outbreak could cause more than $2.16 million per day in lost producer and consumer profits, amounting to a staggering loss of $200 billion and 154,000 jobs over a 10-year period, if export markets were to close, said Dermot Hayes, a professor of agricultural economics at Iowa State University. "FMD is very contagious and can easily spread," said Dave Warner of the National Pork Producers Council. "With no vaccine, it would spread quickly. Export markets would close. Prices for meat would fall, and producers would go out of business." Today's problem is important because susceptibility to the virus has increased, with more livestock per acre and more rapid cross-border movement than ever before in U.S. history, a 2017 Iowa State University white paper reported. The matter is accentuated by the advent of factory farms, Concentrated Animal Feeding Operations and large herds that now can exceed 100 head of cattle or hogs. Complicated by the lack of a standardized animal tracking system, the virus could conceivably go undetected for weeks and then "pop up in a localized area and spread like wildfire," said Warner. Congress will evaluate funding for the emergency vaccine bank as part of its 2018 Farm Bill legislation. "The safety and security of our great nation depends on putting policies in place that will keep our agriculture industry safe from animal disease threats, such as Foot and Mouth Disease," said Rep. David Rouzer, R-NC. "As we work on the next Farm Bill, one of our key focuses will be on strengthening the coordinated effort between the USDA, state and industry partners to prevent FMD as well as other diseases from being introduced. An adequately supplied FMD vaccine bank is an additional line of defense that is necessary and vital to this effort." FMD can also survive for several months in contaminated animal byproducts brought into the United States from infected countries. That's why the USDA Animal and Plant Health Inspection Service works with the Department of Homeland Security to screen cargo and prevent travelers from bringing any meat products of concern back to the United States. 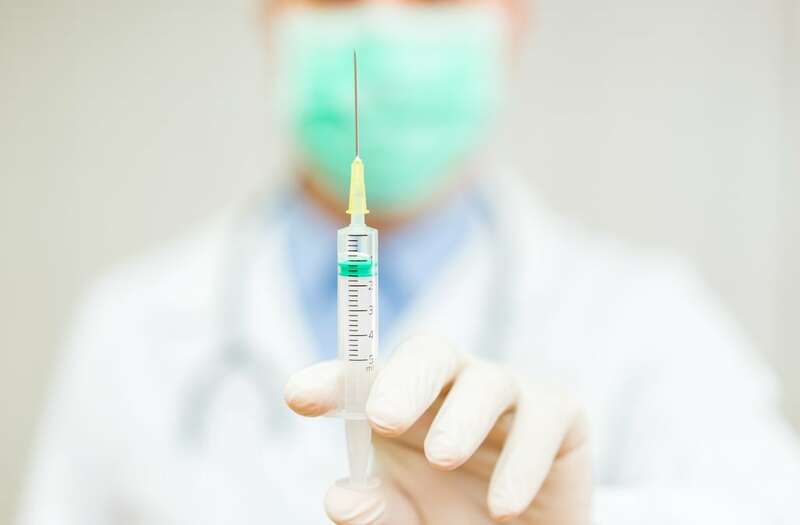 The vaccine bank would cost about $150 million per year over five years, a far cry from the $200 billion loss the U.S could face over a decade, said Professor James Roth of Iowa State University. Dehaven, a former APHIS administrator in charge of the inspection and oversight needed to guard against attacks on the food supply, concurs on the numbers. Some industry experts, however, have a more tempered view. Kansas Secretary of Agriculture Jackie McClaskey said that there are many logistical questions associated with the process, including the question of which states would have priority over the vaccines and what the ultimate procurement time would be. "Funding a vaccine bank is not a silver bullet," McClaskey said. "Greater coordination between state and federal disaster response procedures together with vaccines and a more robust 'stop movement' policy for livestock crossing state lines should all be part of language in the bill." Still, advocates say that vaccines are the best tool we have to counter our current vulnerability. "It isn't a question of if, it's a question of when," Warner said. "If we were to have a small, localized outbreak, we have access to vaccine, and we could deal with it, but anything bigger than that would require more vaccines on hand than we have now." The vaccine bank would allow the shortest possible production time and providing so-called "surge capacity," the millions of vaccine doses—possibly as many as 40 million—needed in the event of a medium- or large-scale outbreak. "This way, we could rotate the stock and have at least 20 million doses ready immediately—a concentrated vaccine virus that has been grown and killed and stored with liquid nitrogen," Roth said. "When it's needed, it needs to be formulated and made available; that is the key, having the 20 million or so available and ready to go." Many countries in Africa and Asia and some in South America have reported cases of FMD, according to the World Organization for Animal Health. On July 14, Reuters reported that Mexico's agriculture sanitation authority said it suspended all dairy imports from Colombia after new outbreaks of foot and mouth disease were detected in that country.